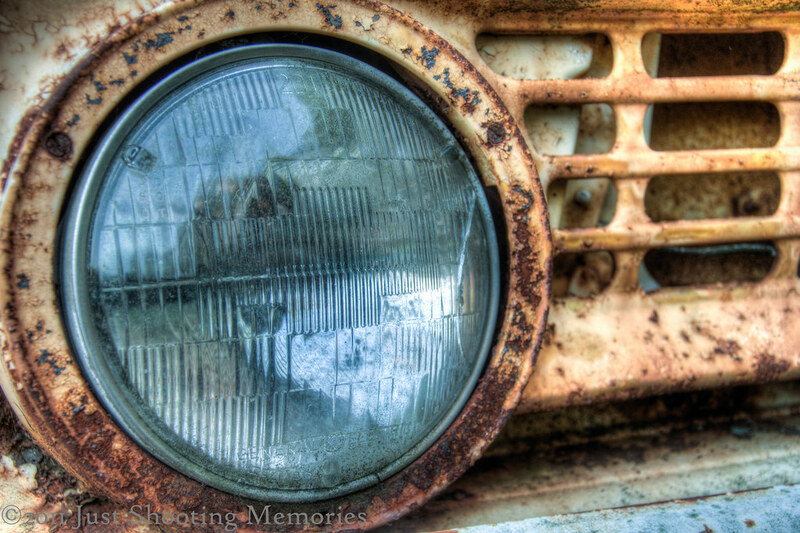 One Head Light | Just Shooting Memories! While walking around Old Car City USA, I kept seeing a sight that reminded me of a song from several years ago; One Head Light by the Wallflowers. Then, I remembered that I forgot the headphones and could not listen to it. Oh well. Sometimes life is not perfect. Just lots of fun. For anyone who likes HDR, Trey Ratcliff started a website dedicated to HDR and allowing photographers the chance to submit their work. The website is HDRSpotting.com. The only was to submit is to be invited. A while back, I posted an invite code and promised to randomly post more. Okay, here is another one. 1542-195871 First come first serve. If you get it, send a tweet out where you got it. I am @justshootitup . And thanks for stopping by. Daryl, I expected the invite code to be gone by now, but it worked. Thanks! Tim, Honestly I thought you had one already, but I am now glad that you do. There is some amazing work over there.